You can now bank conveniently and securely with Bank of America® Mobile Banking applications, enjoy a fast, optimized financial services and banking experience on your smartphones. 1. 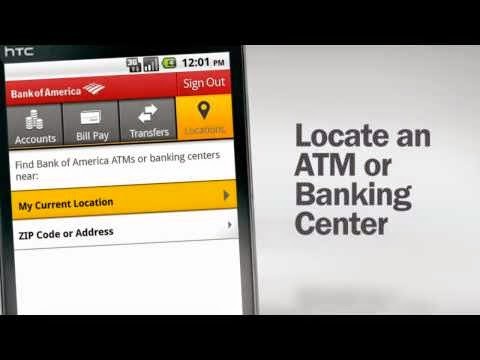 Mobile Check Deposit: Use BOA mobile app to snap photos of checks and deposit them right away. 2. BankAmeriDeals®: Choose deals and get cash back right into your account. 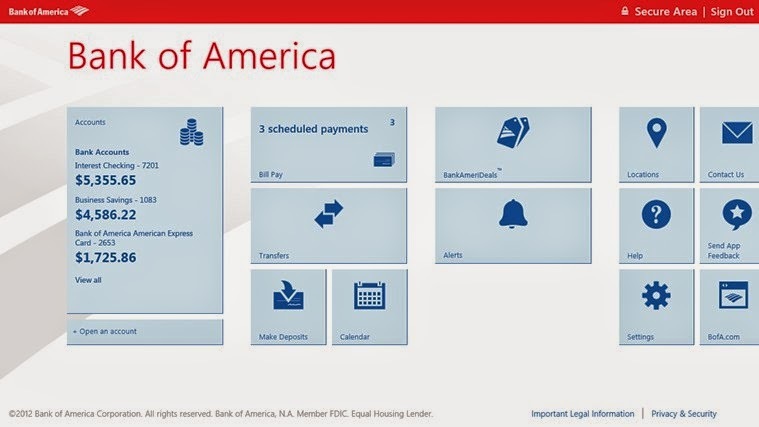 The Bank of America® mobile application is available for BlackBerry, Android, iPhone and iPad users. 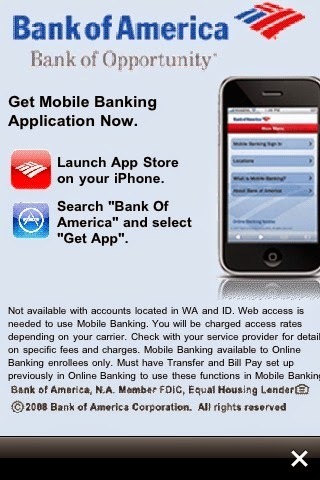 Here are links to download Bank of America® mobile apps.